From the time we all started walking upright (both as a species and as individuals) four things were necessary to our survival and also have had to be respected as powerful and in some instances, potentially dangerous. They are four tools that we have to work with; earth, water, fire and air. They are found in the root symbolism of most cultures the world over and are at the basis of many forms of spirituality, astrology, Tarot and countless other systems of thought. I think it may have been significant that these elements were things that were not just life sustaining but also four ways we literally dissolve. When a person dies you can either stick the body in the ground, burn it up, throw it in the ocean or put it on a burial platform in the air. Maybe this is part of why these symbolic elements have been important to people for so long. OK, you're probably getting a little impatient and are asking "fine and dandy, what does this have to do with ME"? I have to work with an understanding of these elements in their relevance to people in the here and now. There's the conscious level on which the person being read is seeking and there are sometimes the signals trying to get through on another level. A person might want "their fortune told" which is fair, but a pretty superficial kind of reading and I'd like to think I'm able to provide a lot more than that. It would be like looking at the elements just as love life, work life, money and battles. But on a more proactive level those same categories are the responsibilities we have in Compassion, Constructiveness, Values and Boundaries. I boil them down most simply as our prime functions of feeling, doing, owning, and fighting. We evolve when we work with them consciously. Here's another way of looking at the elements: Let's imagine we are going to a party in a big house with lots of people that drift around and general ly congregate into groups. Usually the "feelers" are in the kitchen around the food and the sink or by the bathroom door, talking about what's going on emotionally. Feelers do and own and fight but they are predominant in feeling, nurture and compassion. 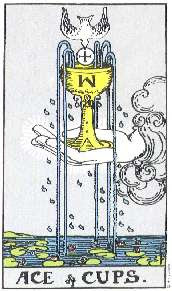 They tie into the element of water and in Tarot that's the suit of cups. The doers are generally active, playing ping pong or talking about their doing. Their work for instance, or the deck they built. They tend to be more competitive. They also feel and fight and own but they identify with doing. 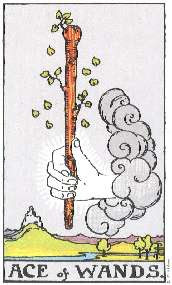 Their element is fire and in Tarot that is the suit of wands. Owners are not necessarily materialistic but I picture them in the library. They look at many sides of a situation. Tending to weigh options in line with their values and their resources. "What is the issue worth to me?" they ask. They look at things in relation to their values. Their accu mulated experience and the experience of others. They "own up" to things. 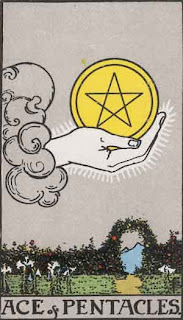 They too experience the other elements but predominate with earth energy, symbolized as pentacles. The fighters are sometimes having a debate or at the very least a discussion about things. they tend to use exclamation points a fair bit. They communicate succinctly and make their point. they watch how others react. Sometimes they need to "clear the air" and they are the air element and their suit is swords. We experience all of these areas, some of us are more at home in some than in others and we go through periods of our lives that may have a really predominant element to them. Most often though it is a mixture. They flow into one another, sometimes comfortably and sometimes not so.Too much of an element can be damaging. Sometimes the purpose of a reading is like lifting the hood on an engine and seeing how these things are interacting, or like a personal trainer looking at your workout plan.It can help us see where we are over relying on an element and give us choices as to how to work through things differently. Most of us have blind spots in our energetic awareness, consequently sometimes we are using the wrong tool on a job. Understanding the elements in our lives and within ourselves is a big part of Tarot work. What Does This Card Mean? I am not a Tarot authority and I've never claimed to be. Just because a person has been speaking a language for most of their life doesn't make them a linguistic expert. There are courses in Tarot and levels of certification that exist today (some I hear that are very good) that were not available when I began as a reader back in ’82. I learned, and continue to learn in the doing. I found authors who I could relate to and people I could share with and I continue to seek. What I share here is just my own perspective that continues to evolve. I began reading without Tarot. I was always able to “pick up” things with people. But I found it is a vehicle that works best for me and is most comfortable for those I read for. I am able to ground what I get intuitively with what I see in the cards and they allow me to have an illustrative tool that the person I am reading for can see. They also allow me to organize thoughts and see relevant patterns in the different aspects I am receiving. People often ask "what does this card mean", as if the answer were as simple as looking a word up in a dictionary (ha ha ha!). 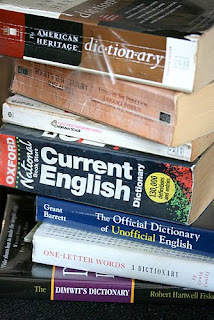 Which dictionary? Websters? The dime store one? Maybe that great font of misinformation - the Internet? Or even a good standard, responsible dictionary like the one you have on a shelf that you've been using for a gazillion years, surely that would give a definitive answer wouldn't it? In an absolute sense...no. Dictionaries get updated every so often and you'll notice that beside a word there are the numbered interpretations of that word. Your good old dictionary MIGHT be out of date! Studying Tarot's history is a fascinating undertaking. Over time people have added associations to it and some aspects have been dropped. 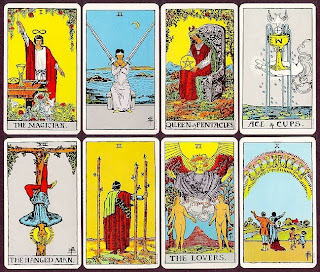 There have come to be recognised some inherent rules to Tarot and it's structure that have been hammered out in long successions of scholars. Some deck creators choose to follow these and some (frustratingly) don’t. Tarot is a little like Windows for computers, it’s not a perfect system but it is largely out of the winnowing out process that it has changed and will no doubt change again (i.e. In many early Tarot and playing card decks the four suits were relevant to the four classes of society -military, merchant, nobility etc. - as society changed these associations changed too). The more you work with any symbolic system, the more you start to notice, or create certain patterns or associations. The more these associations work the more ingrained they become or they get discarded over time. The format that has evolved for me with Tarot is much like that. Like most readers, I have developed an approach that brings the possible interpretations into relevance to the people I read for. This has meant looking at the basic structure of the deck on a number of levels. There are connections I have made that work for me and that a lot of people have been able to relate to. What it means in relation to what I am receiving intuitively. What it is saying in relation to the other symbols (i.e.card combinations, predominance of symbols and suits). What I have found that card to mean relative to many such interpretations and through study of other's interpretations. 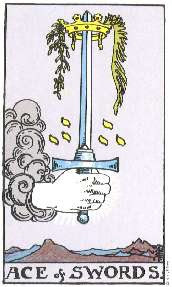 I also usually have to stress that the interpretation of the card is the interpretation in the context of the reading. If you were to take all the meanings of a card like the Hierophant and talk about them you'd be running longer than the Jerry Lewis Labor Day Telethon. Or (*GRIN* ) you could refer to the teeny tiny book that comes with the cards when you remove the cellophane and take them out of the box. Most of the time, I use a Rider Waite Tarot deck (yes it should be called the Smith deck, but that's another post). Partly because it is the most common deck and the deck that has had more artists base their interpretations on than any other. This allows for a very important level of congruence. In other words if you work with a Rider deck its easier to understand a variety of other decks. Is the Rider deck "best"? I know of a great many readers who find it flimsy, stale or not their cup of tea. Its like (very much like) comparing apples to oranges or better yet a Mac to a PC. PCs are probably not the better system - BUT they went into greater use. Same as Beta to VHS. "thy skies will be cloudy, but verily there is a wilde storm front...zounds!" I generally recommend the Rider, not because it is "the best", but because it is an operating system that will allow a person to move into other decks or operating systems most congruently. I wouldn't recommend learning English for international use from someone who spoke largely in Cockney slang. 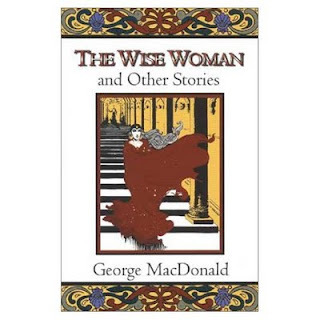 The writing of George Macdonald is like opening a magic door. There is a depth and a resonance with something we all know deep inside. His children's stories aren't watered down Disney, rather like something found in an attic that once opened never lets you be the same. Transformative spirituality is like that. Considered Christian allegory, these stories are something I think anyone who walks a path of faith can understand and relate to. I find it fascinating that his characters most often analogous to a saviour are, in fact women. He was a follower too of the poet Novalis, who believed spirit could be found as much in nature as in dogma. 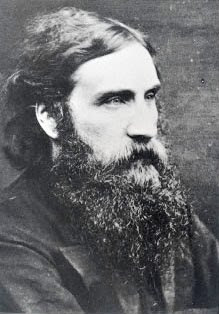 Macdonald was a man before his time in many respects, but we would have so much less in this time had he not come before. For anyone interested in archetypes or for anyone who wants to experience fantasy writing in its most potent distilled state this is the rarest vintage. Goes best in a book format, in a hammock at a lake or with milk and cookies before bedtime. I ordered my last (new) copy through Prairie Sky Books (see in links) as I've given many away. I have a very good friend named Dann Thew who is unabashedly joyful. It sometimes even gets him in trouble, but he goes on being joyful just the same. I remember back before he became a yoga instructor (which is a perfect fit for him), he was working some odd jobs and happened to be at McDonald's working in the drive-through. Now I don't know about you, but for me it would be challenging keeping joy in that. Part of why I found it hard to do readings in restaurants after a good many years of it, was the way people treat servers. But Dann is quite naturally "in the now" and curious and happy to see people. He doesn't get caught in what he has to be for others, he just IS. He would see people as people, make eye contact and give them recognition. Some people aren't comfortable with what they see as "the help" being re cognizant, they want Mcinteraction with their Mcfries. There was one guy who came through the drive through regularly, always ordered the same thing, always impatient, always in a rush and was always gruff. 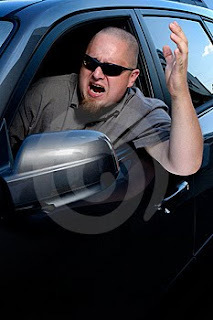 One day when he pulled in, Dann said through the intercom "Hi I have your usual order ready"...the guy didn't know what to do...when he pulled up to the window Dann gave him his order with a big smile...the man sputtered and grimaced. After Dann gave him his change, the guy yelled " I'M GONNA GET YOU FIRED!!!". Dann smiled at him with great surprise and gratitude and said "OH..........THANK YOU!" And just to show Dann has a mischievous side, he added "I hope you enjoy your lunch as much as I did myself, preparing it by hand". I should mention too that the guy in the truck had a girlfriend with him that found the whole thing joyful too. 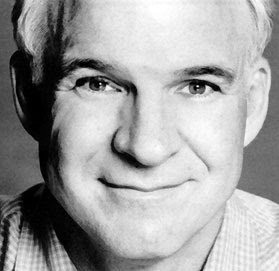 Yup, Steve Martin. He knows how to laugh as much at himself as at what's around him. I have to include a YouTube clip of him with Earl Scruggs playing "Foggy Mountain Breakdown" on Letterman. There is tremendous joy in these guys jamming. There was a time in my life when I had lost or misplaced this. Oddly it was when I was trying very very hard to "work on" me. Don't get me wrong, I needed to do a lot of that work, still do. But I had misplaced my joy and lost my reference points. Every now and then though life gives me a bump, the saying is "a burr under the saddle that wakes up the horse". It's when I find it again that I remember it is a natural state. Like sunshine it really is always there, clouds obscure it and like the earth turning, I give it my backside quite often but it's there. There are some books that I refer to quite often when discussing personal growth and relationship issues. Some I have found personally helpful and many have been recommended by others as useful to them. Is someone else's problem your problem? If, like so many others, you've lost sight of your own life in the drama of tending to someone else's, you may be codependent--and you may find yourself in this book. 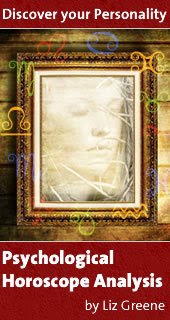 The healing touchstone of millions, this modern classic by one of America's best-loved and most inspirational authors holds the key to understanding codependency and to unlocking its stultifying hold on your life. 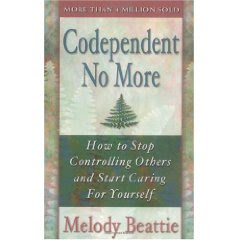 With instructive life stories, personal reflections, exercises, and self-tests, Codependent No More is a simple, straightforward, readable map of the perplexing world of codependency--charting the path to freedom and a lifetime of healing, hope, and happiness. Melody Beattie is the author of Beyond Codependency, The Language of Letting Go, Stop Being Mean to Yourself, and Playing It by Heart. 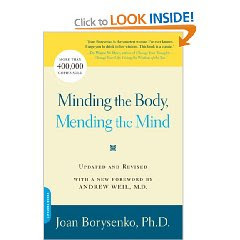 "Minding The Body Mending the Mind" by Joan Borysenko. 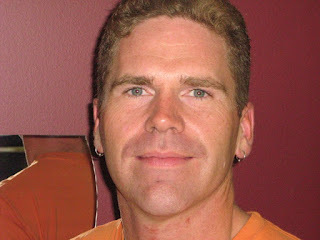 Borysenko, co-founder and director of the Mind/Body Clinic at New England Deaconess Hospital/Harvard Medical School, describes the clinic's ten-week program for learning to "mind the body" through a medical synthesis of neurology, immunology, and psychology. She provides step-by-step instructions to the clinic's techniques while suggesting how they can be adapted for individual use. Combining meditation, breath control and stretching exercises, and mindfulness, and drawn from work with patients aged 17 to 93, these techniques help ease the stress of illness particularly illness caused by stress exploiting the body's natural capacity for healing. Readers who master them can achieve an admirable balance between inner self and environment. 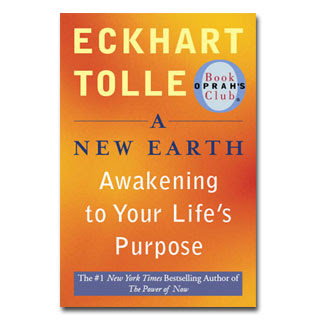 "A New Earth - awakening to your life's purpose" by Eckhart Tolle. I should mention that I don't find Eckhart Tolle to be very original in what he suggests. The "New Earth" is not a very new idea or concept and is at the basis of just about any kind of mindfulness exercise, but he does manage to convey the concept in a way that many people find understandable. There was a 10 week "webinar" with free online workbooks and resources on Oprah.com (again, "free" but you have to join Oprah.com). Anything written by Pema Chodron, but probably the best book to begin with (as suggested by it's title) is "Start Where You Are", also relating to grief and brokenness is "When Things Fall Apart". 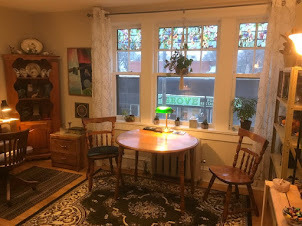 I sometimes find that people who come for a reading are dealing with issues that I am not qualified, nor would it be appropriate for me to address. Physical health issues, for instance, should be addressed with a doctor. I can talk about well being but I am not able to diagnose things. Similarly legal advice should be addressed with a lawyer and psychological issues with a reputable therapist. You need to know the location and time of your birth (contact your local vital statistics if you don't know for sure). The basic chart and the daily forecast is free. I also subscribe to the extended day forecast, which is roughly $39.00 a year in US funds. I have also purchased the personality portrait for myself and the Horoscope Analysis (see picture left) as gifts for friends (again roughly $39 US) and found them to be worth every penny. 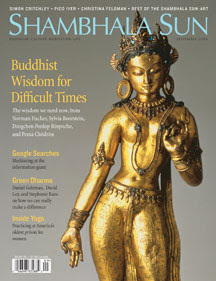 I was having a conversation with a friend today about "being sure of yourself" and I remembered a great article in Shambhala Sun. Written shortly after the infamous September 11th 2001, it was by Margaret Wheatley and was about the value of uncertainty. "In a changing world, certainty doesn't give us stability; it just creates more chaos. "Now," is the time for far less certainty and far more curiosity."